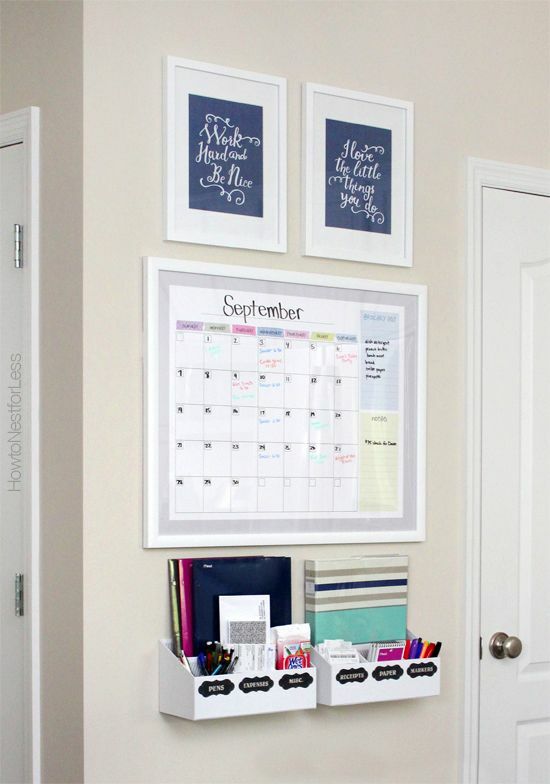 Today I'm doing a round-up of some beautifully organised family command centers. 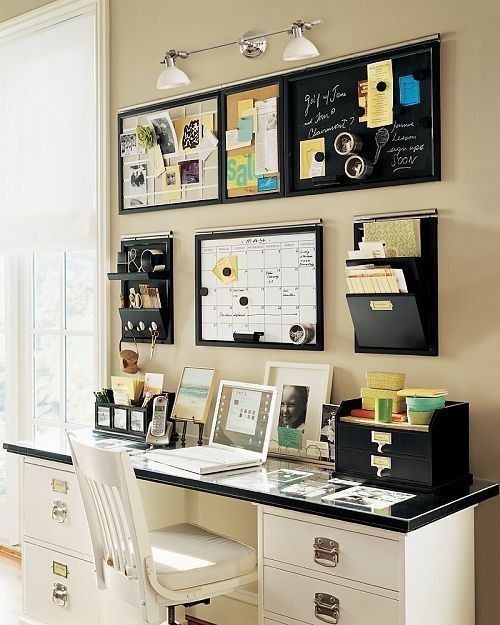 A command center is basically a spot in the house that keeps you [and your partner/family] organised. 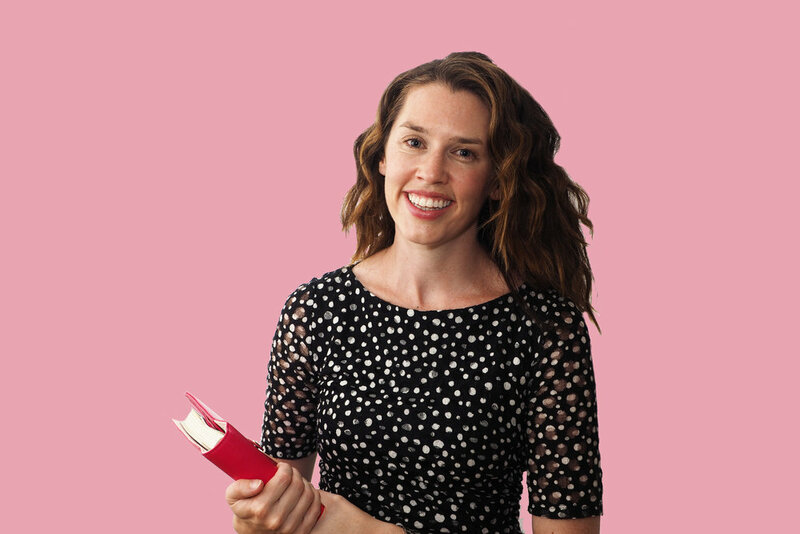 It's a place to share calendars, messages and information so that everyone is on the same track. 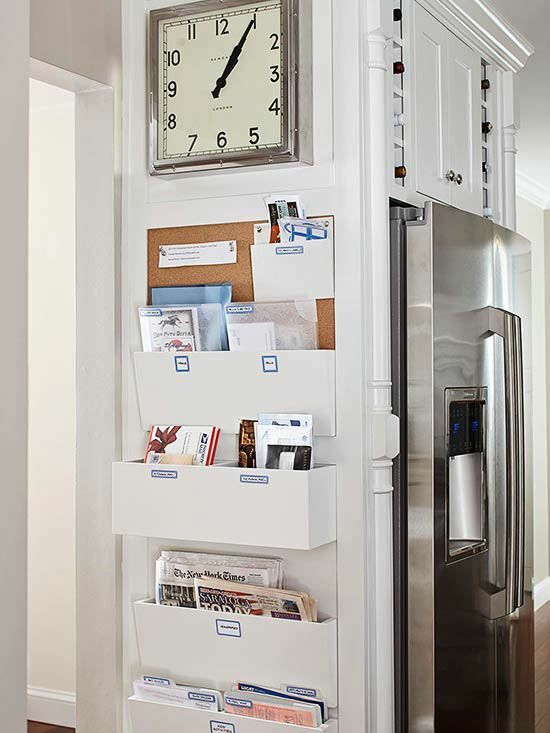 This really is an essential zone to keep your home organised! 1. 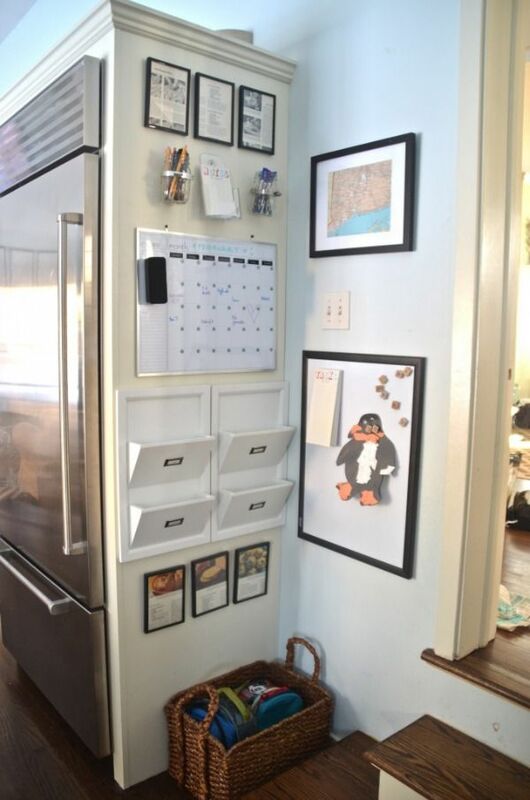 This clever transformation of an Ikea Expedit provides storage, a chalkboard to relay messages, and a magnetic board to display important information. 2. You don't need a huge space to get your drop zone sorted. These shallow, sectioned shelves keep everything organised thanks to some informative labels. 3. 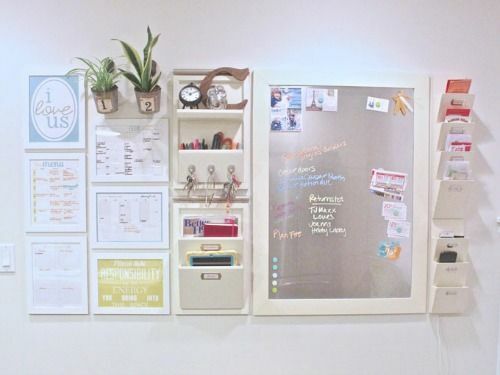 I love this simple but effective space - the dry-erase board calendar is nice and big so that everyone can see what's coming up, and the desk organisers attached to the wall are perfect for corralling receipts and stationery. 4. 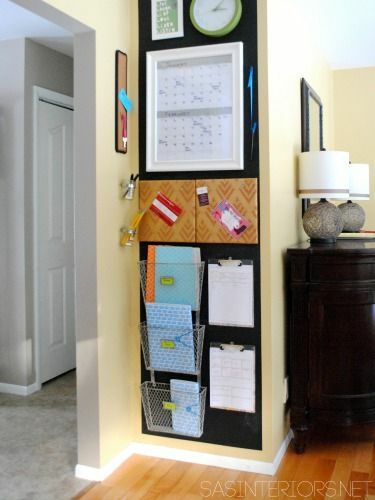 Another great use of space, I love the hanging pockets and the way the mason jars are attached to the wall to house pencils and pens - clever idea! 5. 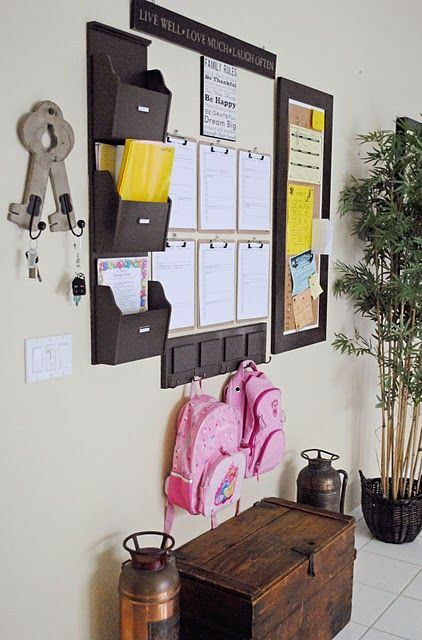 The use of a magnetic blackboard is a clever addition, and the perfect place to leave messages, or attach magnetic tins. 6. 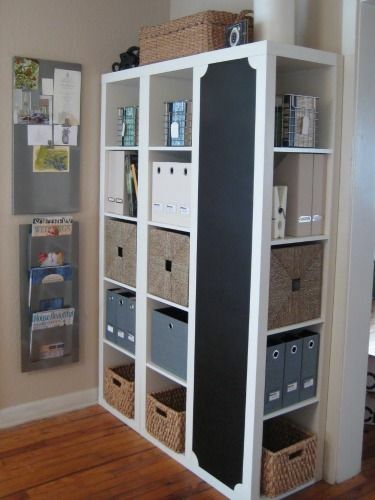 If you are lucky enough to find a spot in your home that can also incorporate bag storage, then you are on to a winner! Having everything all in one easy-to-access place just makes getting yourself organised that much easier! 7. Another sweet little spot - I'm a fan of the fabric and nail-head pinboard for some added style! 8. The addition of plexi-glass over a magnetic board means you can write messages and display invitations, coupons, bills etc. A weekly and monthly calendar, menu plan and shopping list means this little space is working hard! 9. 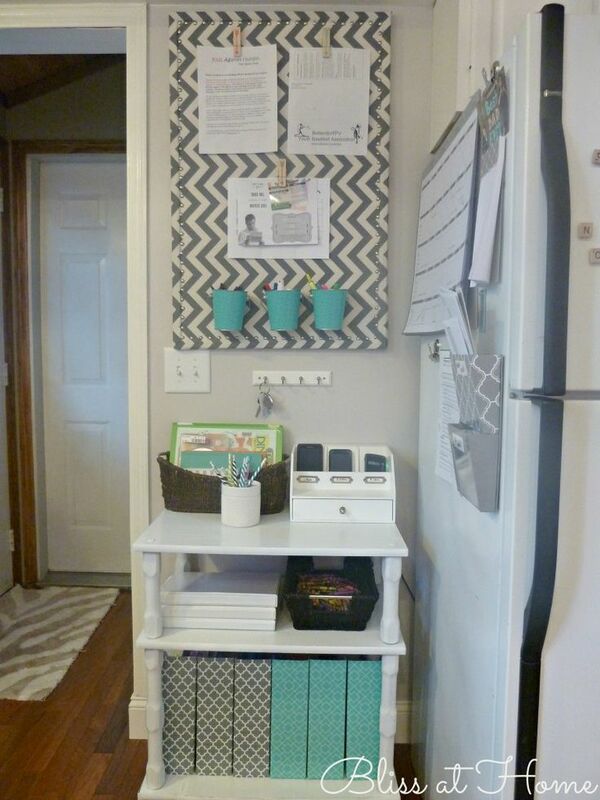 The wire baskets are a cool addition, as is the fabric covered corkboard. 10. This one is definitely my favourite space! 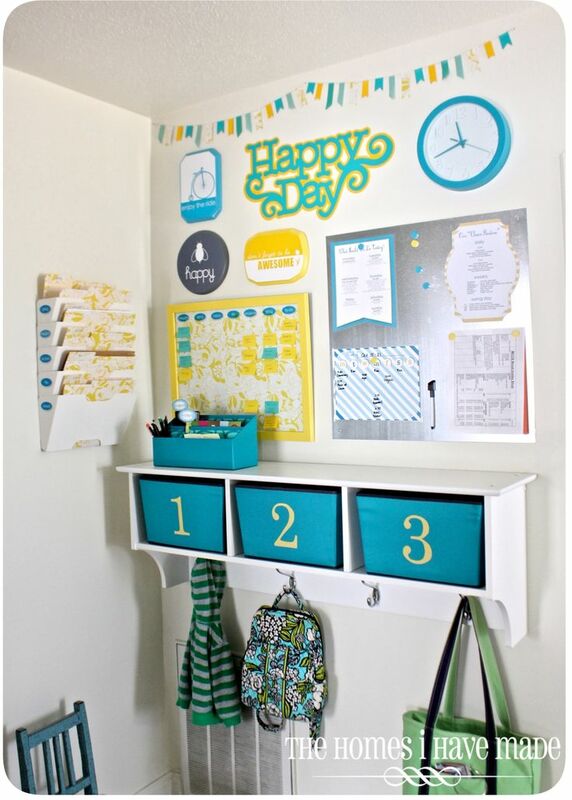 The bright colours, hanging wall organiser, the magnetized board with cleaning and weekly routines, the cubby shelf for holding essentials....what a great use of space! 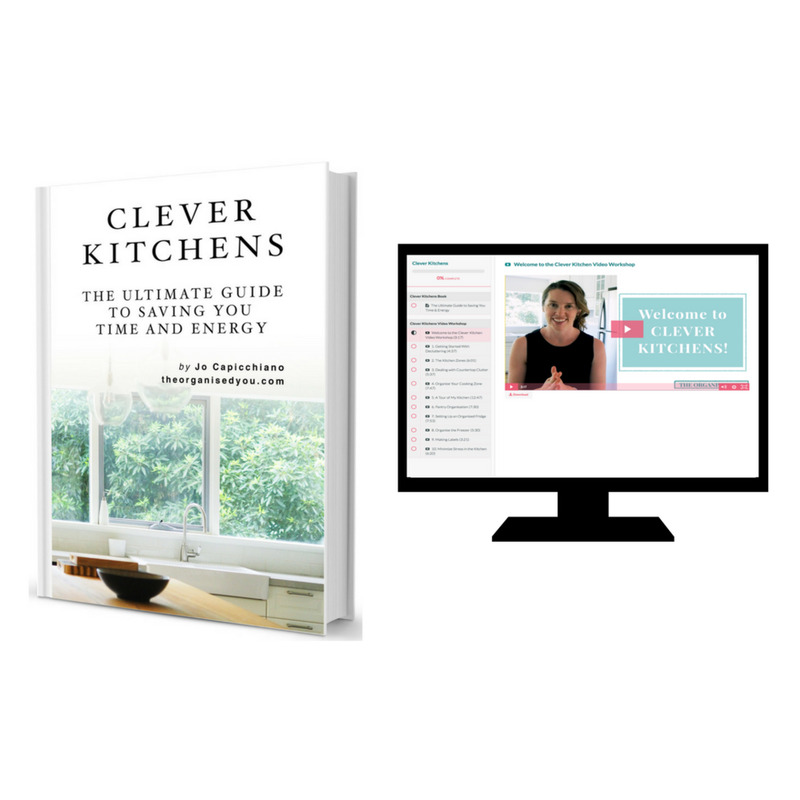 I hope you're feeling inspired to either create a new organised zone in your home, or make some updates to an existing space. Good luck! 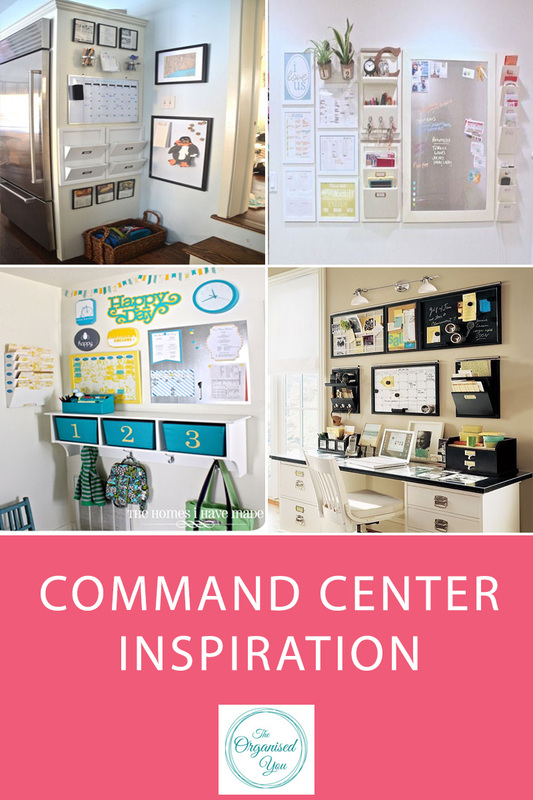 UPDATE: See the family command centre we created right here!